In 2013, "washoku" (traditional dietary cultures of the Japanese) was added to the list of UNESCO's Intangible Cultural Heritage. The Japanese food boom seems to have reached its climax to some extent, but as yet have shown no sign of slowing down all over the world. 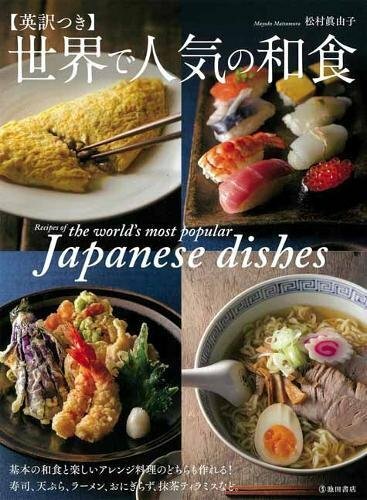 This new book features a variety of Japanese cuisine recipes, ranging from traditional and authentic ones such as sukiyaki (beef hot pot) and nikujaga (potato with sliced meat) to popular reverse-imported Japanese food like "ramen burger," "California roll," and "matcha tiramisu." Simple instructions with a plenty of step-by-step photographs allow this book to function as the easiest reference for cooking beginners. It will teach you how to cook rice or make miso soup with proper "dashi" (stocks), which are the basic of basics for anyone who want to cook Japanese dishes. The book is fully worked out for anyone to season dishes like a pro. All you have to do is to follow by the steps! View More In Asian Cooking. If you have any questions about this product by Ikeda Publishing Co.,Ltd., contact us by completing and submitting the form below. If you are looking for a specif part number, please include it with your message.